On the 100th year since Nelson Mandelaâ€™s birth, The Daily Vox is interrogating his pan-Africanist legacy. 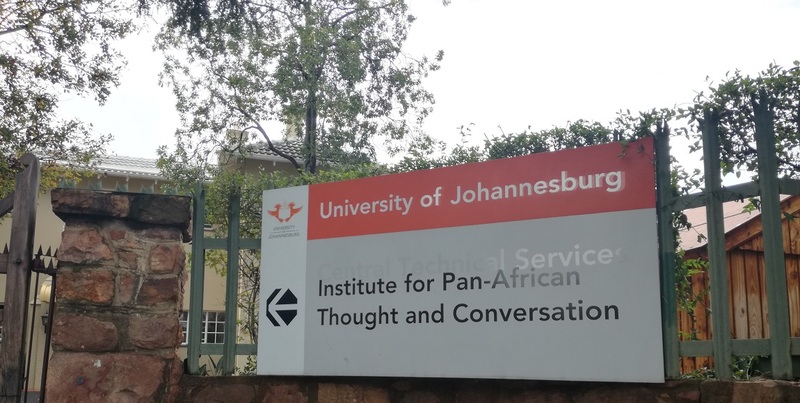 The Daily Vox spoke to the Director for the Institute for Pan-African Thought and Conversation Professor Adekeye AdebajoÂ about the pan-Africanist movement and Mandelaâ€™s pan-Africanism. How has the pan-Africanism of the last century evolved? The origin of pan-Africanism was the 19th century with figures like Edward Blyden, who called for the unity of Africa. Pan-Africanism at its core is about the political, economic, social, and cultural unity of Africa and Africans. The movement was founded by people of the diaspora. Blyden himself came from the Caribbean originally. People like Henry Sylvester Williams from Trinidad and W.E.B. Du Bois from America organised five pan-African conferences between 1919 in London and 1945 in Manchester. First, they were calling for socio-economic and cultural rights for Africa, but eventually started making political demands. By the time the pan-African conference was held in Manchester in 1945, it was dominated by Africans rather than African-Americans or Afro-Caribbeans. People like Kwame Nkrumah, Hastings Banda, Jomo Kenyatta dominated the conference in Manchester. This was also the time when African nationalism had come of age and people like Nkrumah and Kenyatta, and others…were pushing for self government and independence. Then there was a phase of pan-Africanism that became more intergovernmental as African countries gained their independence from European colonial powers in the 1950s. You had different blocs, the main ones were the Monrovian, Brazzaville, and Casablanca bloc who had different visions on how to achieve African unity. The majority were in the Monrovia bloc and they wanted a more gradualist approach to independence. While Nkrumah was calling for a common army, a common currency – things that were very ambitious. Most heads of states of Africa were just winning their sovereignty and were not really interested. Itâ€™s important to understand that when these countries got independence, the Organisation for African Unity (OAU) – which now became the institutional embodiment of pan-Africanism – was a very minimalist club. It was also born into the Cold War where the Soviet Union, the US, and France were waging proxy wars in Africa. The OAU was not really able to react very credibly but one of the most important parts of pan-Africanism during this time was that there were groups in the African diaspora like TransAfrica – an African-American group – run by Randall Robinson who were pushing the US in an anti-apartheid struggle. They mobilised in college campuses and managed to rally two thirds of the US Congress to override Ronald Reaganâ€™s veto in 1986 and impose economic sanctions on apartheid South Africa. As soon as Africans gained their independence, they stopped being committed to a pan-African vision. They were too consumed by internal issues so they werenâ€™t looking outside. Some of them spoke up in favour of the civil rights movement but they werenâ€™t invested in America or the Caribbean and calling for the rights of black people – not very loudly anyway – so it became delinked from the diaspora. Small personal examples like George Padmore working for Nkrumah and W.E.B Du Bois going to live in Ghana were few and far between. At the end of apartheid and the end of the Cold War, that coalition that was formed during the anti-apartheid struggle basically disappeared. Thereâ€™s still issue-based lobbies for Africa in America looking at refugee issues, humanitarian issues, HIV/ Aids issues but the strong American grassroots lobbying that pushed against apartheid and for decolonisation of the whole of Africa has more or less dissipated. Itâ€™s a bit of irony when you consider that Barack Obama – whose father was Kenyan – was in power for eight years between 2009 and 2016, and was the most powerful black man in the world, yet the links between America and Africa and the diaspora are not very strong. Obama did not do much to endear himself to Africa, in fact he militarised policy toward Africa. What new shapes or forms has pan-Africanism taken on today? A few groups are trying to revive pan-Africanism as a civil society movement that can help to promote the unity between Africa, the Caribbean, and America. It takes the form of simple things like the conference we organised last year bringing together 35 scholars to look at significant figures in pan-Africanism. Weâ€™ll publish that as a book and then hopefully it will get on the syllabus in African, Caribbean, and American universities. There are groups in the US teaching Afrocentrism, trying to build pan-African bridges. Nollywood – the Nigerian film industry – being big in the Caribbean and America among people of the diaspora and first- and second-generation Africans. But it has become quite a weak movement. Most of the African countries have gained independence and have their own local struggles. The AU says the diaspora is the sixth region but it doesnâ€™t mean much in practice. Itâ€™s symbolic and quite empty. Given that the African National Congress (ANC) and Pan-Africanist movement came into existence in a similar timeframe, how would you say the ANC was historically influenced by pan-Africanist thought? The ANC was formed in 1912, although there was a Congress in 1900, and the first pan-African conference was in 1919. Someone like Pixley Seme – who is one of the earliest ANC leaders – was a very strong pan-African when he was at Columbia University and Oxford University. He didnâ€™t really continue those links when he came back to South Africa. The ANC itself has also maintained a strong presence in Africa, its headquarters was in Zambia during most of the anti-apartheid struggle and thatâ€™s where Oliver Tambo and Thabo Mbeki, and many others spent their years in exile. Mandela famously went on a tour of Africa in 1962 and visited 10 countries including Tanzania, Algeria, and Ghana. One of the liberation movements he was most impressed with was the Algerian National Liberation Front (FLN) and he drew a lot of inspiration from there. Much of the ANC leadership lived in exile in different African countries. Nigeria was a very important base. Thabo Mbeki was head of the ANC office there from 1977 to 1978 and the Nigerian government gave scholarships to South Africans – mostly ANC cadres. Every civil servant in Nigeria was taxed – it was called the Mandela tax – and they took money from their salary and used to to contribute to the anti-apartheid struggle. Do you think the ANC liberation movement was influenced by pan-Africanist thought? To the extent that youâ€™re talking about unity of Africa and Africans, yes they were influenced by pan-African thinking. But donâ€™t forget that the Pan Africanist Congress (PAC) broke away from the ANC and the PAC was probably more pro-Africa in the sense that they were promoting an ideology linked to Africa. It was also internal – the PAC wanted more black leadership. 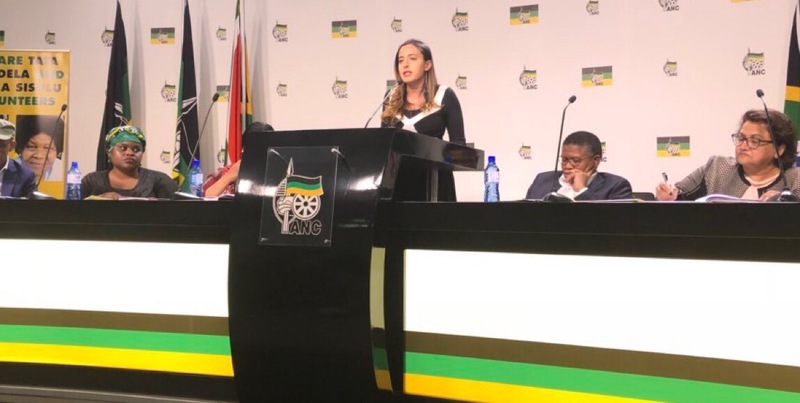 Having said that, I wouldnâ€™t want to overplay the difference between them because the ANCâ€™s liberation was based on solidarity with African countries, the frontline states were the countries the ANC had to rely on to have itâ€™s military bases and things like that. Pan-African solidarity was very much part of it. The South African national anthem is also â€˜God Bless Africaâ€™ so it comes from the same kind of pan-African thinking. Do you think Mandela, the activist, had pan-Africanist ideals? Mandela was influenced by pan-Africanism to the extent that he realised that pan-African solidarity would help the liberation movement. The ANC had to rely on friendly countries in Africa. Thatâ€™s why he went on that 10 nation African tour in 1962. He was influenced by the FLN in Algeria, that is pan-Africanism in action because if a North African liberation movement is where you draw your inspiration then thatâ€™s quite important. I think he read Frantz Fanon and a lot of the major pan-African thinkers – and was influenced by them as well. What was Mandelaâ€™s relationship with pan-Africanist actors? Mandela was not able to form very strong bonds due to his imprisonment but afterwards he was friends with Muammar Gaddafi, he helped negotiate the Lockerbie deal with Britain and the US in 1988 through the United Nations (UN). He was close to Fidel Castro, who played a very important role in Angola militarily, but I donâ€™t think he was close to any specific pan-African leader. How did Mandelaâ€™s pan-Africanism change after he was released from prison, and when he became the president of South Africa? One has to be careful in how you define his pan-Africanism in the sense that as an ideology pan-Africanism was used for the liberation of Africa. By the time he came out of prison, most of Africa was free. I think you can talk about the pan-African actions but talking about it as an ideology, I would be careful of that. I would say pan-Africanist actions could be seen by his peacemaking efforts in Burundi, Libya, the Democratic Republic of Congo, in Lesotho, his frequent visits to the OAU before it became the AU, and warning countries that they needed to protect people from human rights abuses which was called the Mandela DoctrineÂ in 1998 in Burkina Faso when he made his famous statement. I would say those are some of the things that reflected Mandelaâ€™s pan-Africanism after he came out of jail. Interviews that the The Daily Vox conducted over the last few weeks have told us that young people struggle to understand how pan-Africanism influences their daily lives and thinking. What would you say to a young South African who doesn’t know whether pan-Africanism is relevant to their lives or not? If it wasnâ€™t for the solidarity of those countries who sacrificed and sheltered ANC activists, who were bombed – because a million people died in the 80s in neighbouring countries, $60 billion in damage by the South African army in those countries – that’s the history one has to point out to them. You have to give young people those examples and the ones I gave earlier. Without African support, they would not be free. Africans continue to contribute despite the popular stereotypes and xenophobic attacks. Africans travel here, they set up businesses and buy and sell from South Africa. South Africa has to recognise that itâ€™s part of Africa. There are African professionals contributing to the South African economy and job market. 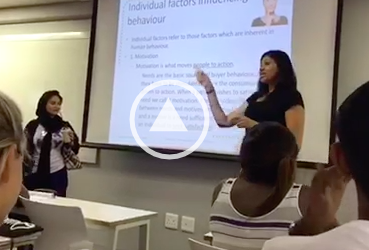 If they reform the curriculum, it takes awhile to train black South African academia. Having black African academics to look up to is helpful because if you have just white lecturers it can be disillusioning.